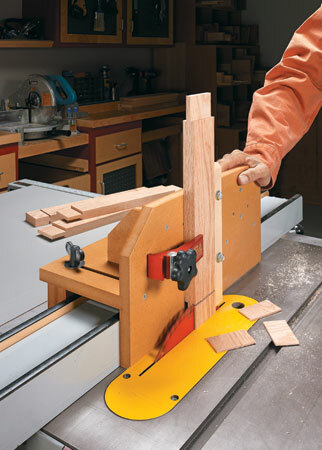 The table saw is the shop workhorse for cutting workpieces to size. But for small workpieces, this can be a tricky operation. It's difficult to hold the piece securely and at times, the cutoff goes flying across the shop. 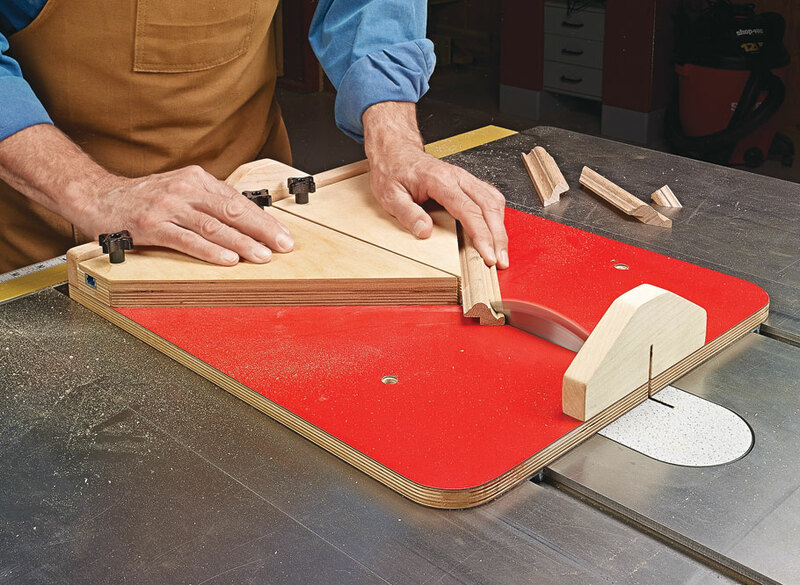 This sled is scaled down to make cutting small parts easier. 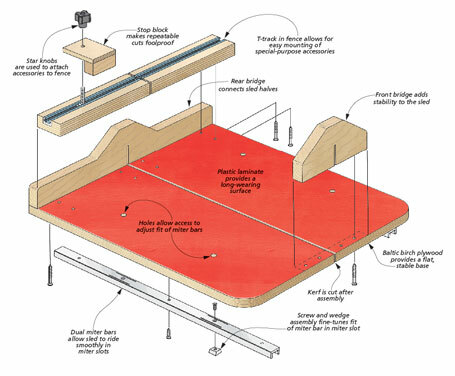 Like most sleds, adjustable runners on the bottom ensure a smooth, sliding fit in the miter slots on your table saw. 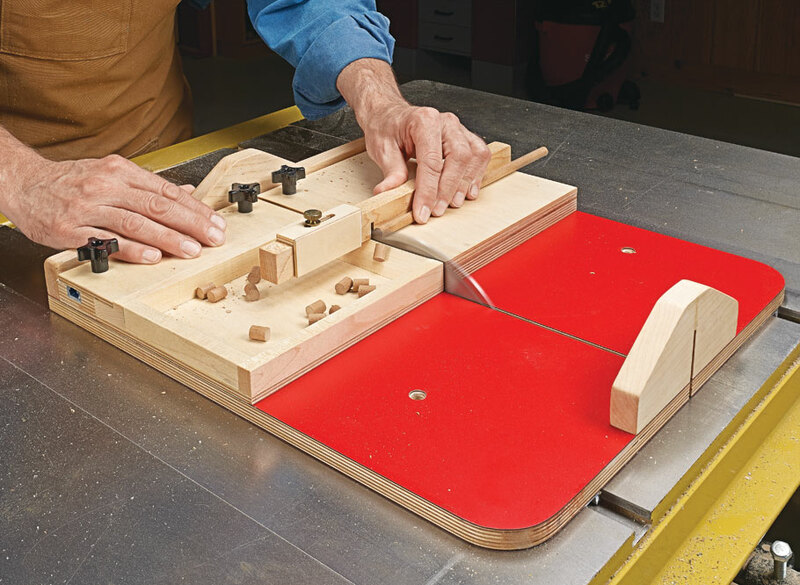 The sled features a simple fence with a stop block for making square, repeatable crosscuts. 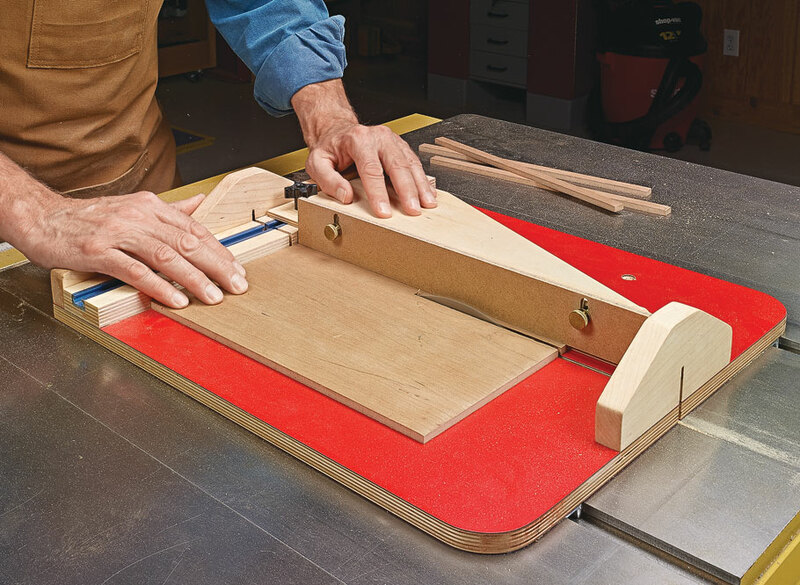 The real beauty of this simple design is the ability to add attachments for cutting miters, ripping thin stock, and cutting tiny parts to length. 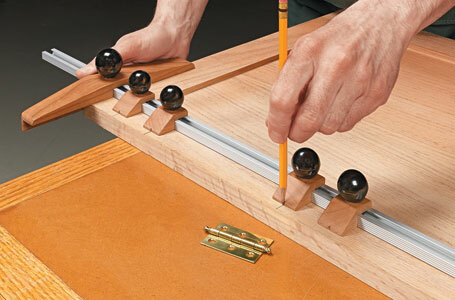 If your woodworking is on a smaller scale, this sled is an easy weekend project that’s sure to see a lot of use. 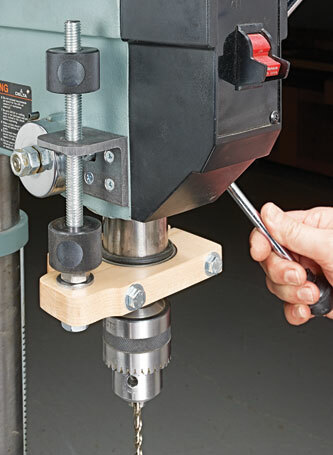 With a few pieces of simple hardware, you can build this add-on to make drilling holes at a consistent depth faster and easier. With just a few hours in the shop, you can transform a piece of T-track into one of your go-to tools.